If you’re looking for a vehicle that will provide you with all the odds and ends of a high-end luxury vehicle at a price that won’t break the bank, then a used Jaguar is the perfect solution. Jaguar vehicles are well-known to provide drivers and their passengers with a sophisticated exterior look and a luxuriously designed, comfortable, and high-tech interior. Regardless of the model that finds your fancy, you can count on a used Jaguar to check all the boxes on your needs and wants list. Get Your Used Jaguar Today! Get ready to change the way you drive. You’ll be able to see the world differently behind the wheel of your very own used Jaguar. 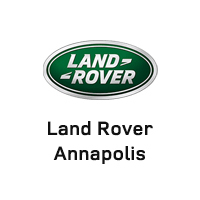 Come visit the team at Land Rover Annapolis today and let us help guide you in the right direction. You can also check out our other great vehicles while you’re here. We’ll also let you in on any special deals or discounts we’re currently running to reduce your out of pocket costs even more!